The Marijuana Business Reporter is the first online trade magazine dedicated to covering the legitimate medical marijuana industry. There are now 13 states offering legal medical marijuana and many other communities considering legalization. The founders of the site are veteran business journalists who believe the medical marijuana industry is poised for significant and sustained growth. 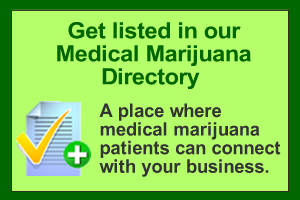 It is our mission to establish this web site as an indispensible resource for those with an interest in bringing new professional standards to the sale, cultivation, marketing and medical issues surrounding marijuana while offering a forum for their input.